PASADENA, Calif. -- With an eye toward breaking Russia’s monopoly on flying crew to the international space station by 2017, NASA has launched a two-stage certification process aimed at ensuring commercial passenger spaceships currently under development will meet the agency’s safety standards, schedule and mission requirements. NASA expects to award multiple firms a Certification Products Contract (CPC), each of which will run for 15 months and be worth up to $10 million. 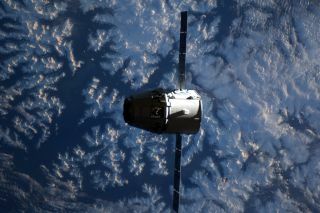 The program dovetails with the agency’s ongoing partnerships with Boeing, Space Exploration Technologies Corp. (SpaceX) and Sierra Nevada Corp., to develop privately owned space transportation systems capable of flying astronauts to the space station. “If there are other companies who can demonstrate that they can indeed meet the requirements of the request for proposals, which is that they can develop a system and have already started to do that to a certain point that is integrated, then we’re certainly willing and very open to anybody to put in a proposal,” Commercial Crew Program manager Ed Mango told Space News at the AIAA Space 2012 conference in Pasadena, Calif.
CPC’s first phase is scheduled to begin in February and run through May 30, 2014. The timing is intended to influence commercial spaceship design and operations plans early enough to meet NASA’s space station mission requirements and minimize potentially costly changes and schedule delays later in the development process. That includes alternative standards, hazard reports, a verification and validation plan and a certification plan. Phase 2 includes final development, test and verification activities, including at least one and possibly more demonstration missions to the space station. “The government expects that only Phase 1 contractors will be capable of successfully competing for Phase 2,” NASA wrote. NASA intends to run its ongoing, 21-month, $1.1 billion Commercial Crew Integrated Capability (CCiCap) projects with Boeing, SpaceX and Sierra Nevada separately from any awards the companies may win under the Certification Products Contract. “They can work in conjunction if folks want to do that, but we, NASA, will keep those separate because one is for public purpose and one is for NASA purpose,” Mango said. “The partners themselves, whomever would like to propose for that, are really going to end up making a system that can meet multiple customers hopefully, and if they would like to make one of those customers NASA then we are now telling them through CPC, ‘Here’s the requirements you gotta meet. How are you going to meet them? And if you can’t meet them, let’s talk about that and let’s get to a baseline that we can both agree to,’” Mango said. Under its existing program, NASA was not able to formally evaluate if a company’s design met agency requirements for flying crew to the station. “This bridge will allow us to either move down the road toward getting design concurrence assessment or potentially waivers for areas where we don’t fully meet all the design requirements,” said John Mulholland, Boeing vice president and program manager for commercial space programs. “The big benefit of [CPC] is that bridge is going to allow us to move down together and hopefully get certified to fly to the international space station and fly NASA crew,” Mulholland told Space News. Proposals are due Oct. 12.